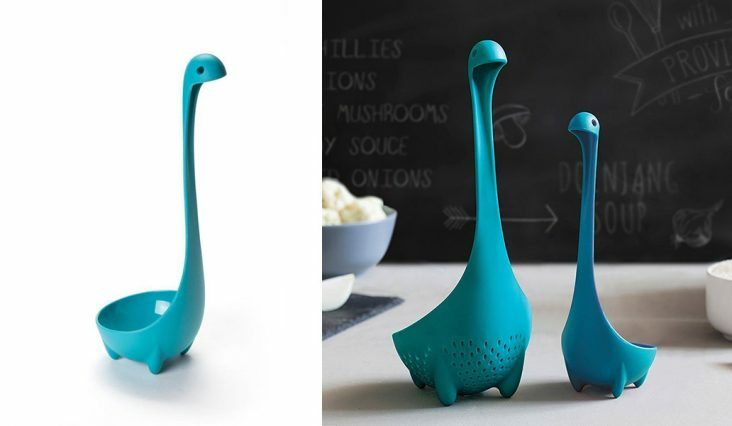 The Loch Ness Colanders are and adorable kitchen idea. Fashioned after the Loch Ness Monster, the set includes Mother colander and baby colander both made from durable plastic and also dishwasher safe. They look so cute when standing in your pots that you will want to use them all of the time. If you are searching for an unforgettable kitchenware gift these are a great choice. 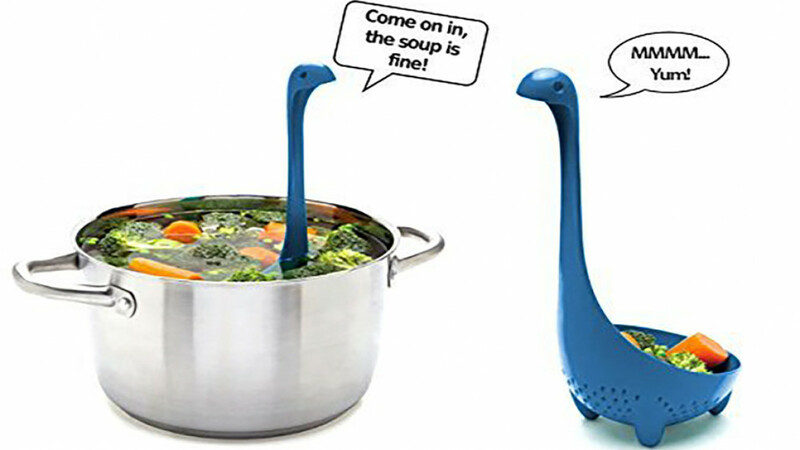 Will be adored by any Nessie lover or anyone who appreciates cool and unique kitchen equipment. Easy to use and easy to store, the little one fitss inside the big one to save space when not in use.